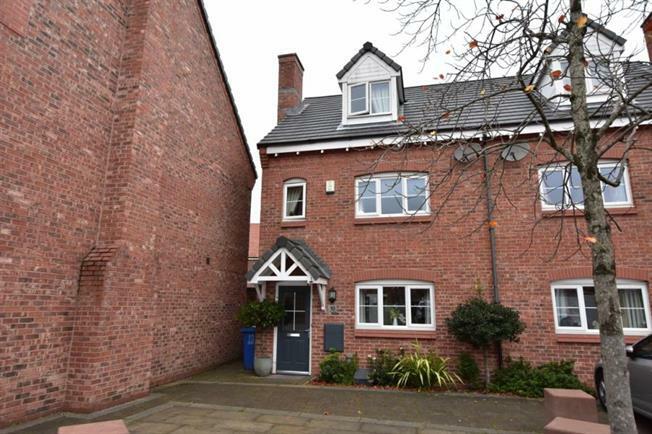 4 Bedroom Semi Detached House For Sale in Chorley for Offers Over £215,000. Modern semi detached family home presented in immaculate condition throughout and benefits from a large open plan contemporary orangery/ kitchen dining area, spacious living room, three first floor bedrooms and bathroom with the master bedroom and ensuite shower room occupying the whole of the top floor. There is an attractive garden and also a garage . Located on the edge of the Yarrow Valley Park and flanked by Duxbury Park Golf Club, Birkacre Park is only around one mile from the lively amenities of Chorley town centre, with a delightful village green and pond marking the entrance to a peaceful, beautifully landscaped new neighbourhood, this high quality new development offers the best of both worlds and is a lovely place for your family to live and grow.